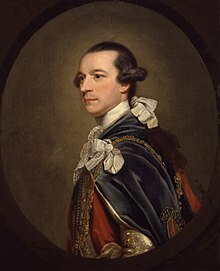 Charles Watson-Wentworth, 2nd Marquess of Rockingham, KG, PC (13 May 1730-1 July 1782) was a British Whig statesman. He is most notable for his two terms as Prime Minister of Great Britain. He served in two high offices during his lifetime (Prime Minister and Leader of the House of Lords).